These are a product that I’ve ogled at so many times through the world of blogging and books. They're something that makes me think they should be sat on a dressing table in the 1920s as it’s such decedent packaging and the scent is absolutely delicious, very Parma Violets esq. Obviously, if you hate scents in products then this is not something that you will enjoy as it is quite strong but personally, I love it and as my skin isn’t sensitive to scent at all so I don’t mind it. Whilst I’ve always admired this product from afar there was a part of me that did worry it might be a little too powdery on the skin but that isn’t the case at all. They feel very soft upon application and leave a beautiful soft focus glow to the complexion which makes them great in combination with a full coverage base as they do inject a glow back into the skin. Granted they’re not the easiest thing to take on the go but if for when you’re sat down in combination with a somewhat firm brush they give a beautiful result. I’ve said it so many times but concealer is not a product that fills me with excitement even though it’s something that I use every single day. One of the first concealers that I ever truly enjoyed was this one from one of my most loved brands, bareMinerals. It’s everything that I thought the well known and loved by many Collection concealer was going to be but I never quite got along with that. However, I really get along with this and it’s so, so good on blemishes. I’m sure that you could use it under the eyes if you so pleased but as I don’t find I need a huge amount of coverage in that area I tend to use it for blemishes. It’s a lovely formulation that feels very kind to stressed out skin that is blemish prone as there is nothing worse than applying products that make the area feel even worse. It covers everything up with ease and wears beautifully throughout the day, it never gathers or creases which is one of the biggest issues I have with concealer. The only downside of this to me is the way it’s packaged, I find doe foot applicators terrible for spreading bacteria. Isn’t this quite the throwback blogger product? There was a once a time where everyone was using this very expensive but very beautiful eyeshadow. And like most things that are hyped up I was very late to the party with my love for this shadow but it really is worth all the hype it received at the time. The formulation is buttery soft which makes it a breeze to apply even if you’re not the most blessed with your eyeshadow skills. And the shade is a wonderful one wash wonder or if you like an eye with a lot of dimension then this would be a great base for it. On my lid, it’s a deep taupe with a good amount of shimmer so it’s something that I tend to reach for when I want a bit of a statement but still want to stick in a neutral palette. It’s expensive for a single shadow but if you are someone who only likes to wear one shadow daily then it might be worth the investment as the quality is undeniable. I’ve not reached for this foundation in a very long time as it’s not quite the right colour for me during the warmer months but now my skin is at it’s fairest again it’s a pretty good match. This is a very thick foundation which I know is a deal breaker for some people but I quite like it, probably because one of my favourite products of all time is the old formulation of the Laura Mercier Silk Creme foundation. And this somewhat reminds me of that in formulation but it doesn’t quite look the same on the skin. I will say, this isn’t something that you’re going to want to buy if you have dry skin as it will cling onto any serious patches so a great option for the more oily skins out there. With it being a thicker formulation in combination with a good brush you can buff it in within seconds which is something that I always enjoy in my base products. I can never be bothered to sit there buffing things in for hours to make it look good. It’s a very full coverage base probably one of the highest coverage bases I own at the moment, so not something to pick up if you want something lightweight but I don’t find it’s too much on the skin. It still maintains a somewhat natural look which is key when it comes to something with a high coverage level..
Oh this primer caused quite the stir online when it was released due to its high price and granted, it’s very expensive but oh it is lovely. 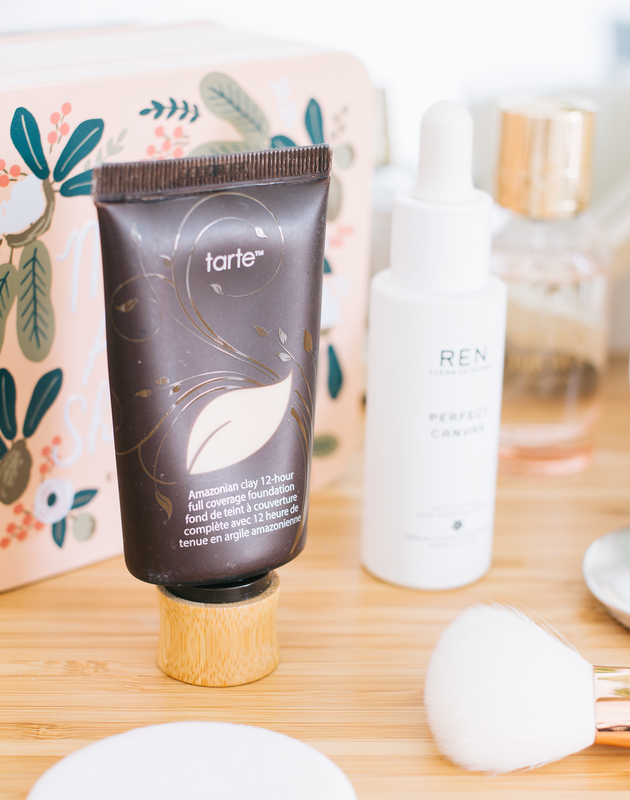 It’s a combination of skincare and a primer which is not something I’m completely sold on, to be honest as I get what I need from my skincare and don’t really require that from my makeup. Sure it’s nice to know that it’s kind to the skin but I wouldn’t say it’s essential! Anyway, high price tag aside this product does exactly what it says on the bottle and gives the complexion a perfect canvas and does so without the need of heavy silicones. As it does have those skincare benefits this is lovely to wear when you’re going makeup free too as it does give a more perfected look but feels kind to the skin. And it doesn't ball up when used underneath any type of base product. When I’ve used this to the end I’m not sure it’s something that I’ll purchase again as the price tag is so high and you can get great primers for less. When I first began blogging this was a foundation that everyone loved and when I first used it I didn’t get it at all. It didn’t sit right on my skin but then a few tries later the penny dropped and it worked and now I get what all the fuss is about. For me, it’s a very natural base and perfects the skin without really adding too much of a glow or making it look matte and flat. I will say I think it’s more suited to an oily skin, don’t let the name fool you because it’s not a sheer glow. I think on dry skin types it might be a little drying although I can still use this on a combination skin day happily as long as I’ve moisturised and primed properly. The coverage is a happy medium, it covers up the majority of things but it can be built up if you want more coverage without it all smearing together or looking too heavy. The biggest downside to this base is that it doesn’t have a pump so you have to buy one which I think is ridiculous for an already high-end base. 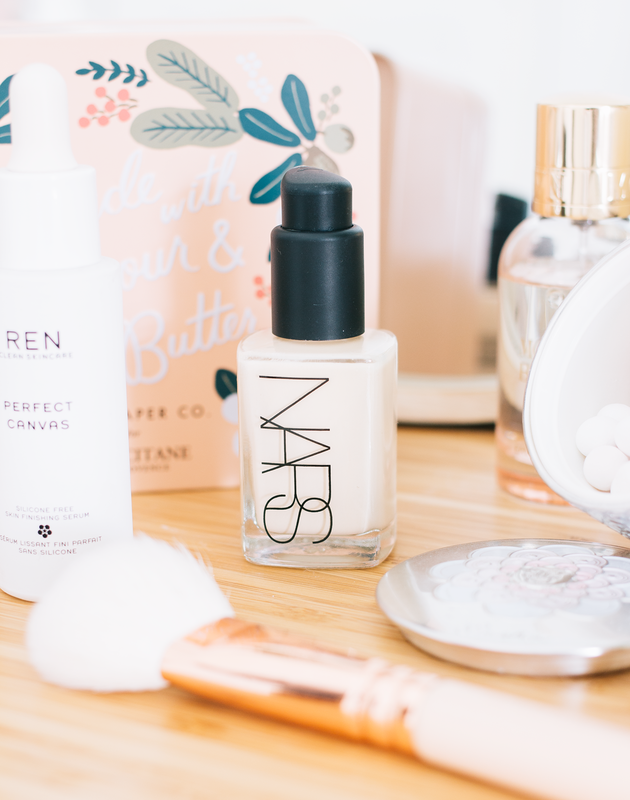 what beauty products are you rediscovering at the moment?